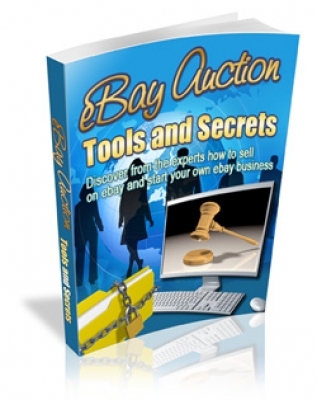 Getting Started On eBay As A Seller Getting registered with eBay as either a auction seller or buyer is a very simple process. As a buyer, all you need to do is provide some minimal information such as name, address, e-mail address, and create a user ID and password. To register as a seller requires some additional steps, primarily focusing on financial matters, though you'll also be expected to agree upon what you can and cannot put up for auction, and the rules and regulations associated with listing or presenting information regarding the items you intend to auction. It almost goes without saying that you'll be expected to conduct your selling affairs in honest matter, in no way misrepresenting the items you will be listing. As an eBay auction seller, you'll need to set up an account, as you will be paying fees to have items listed, as well as paying commissions on those items which sell. You do not have to pay a commission on any item you list that does not sell. You have several choices as to how to intend to make any payments due eBay, but in any event, to open an account you will need either a valid credit card, a debit card, or provide your bank account information. You'll also want to set up a feedback profile. This is especially important if you intend to sell many items at auction. The feedback profile, which is public, is intended to help you the seller, and to give a prospective bidder peace of mind should they choose to bid on a relatively expensive item. The feedback profile serves as a good policeman, hopefully in your case a kind one. A few highly negative feedback comments can be damaging, so you'll want to conduct business in an honest and professional matter.